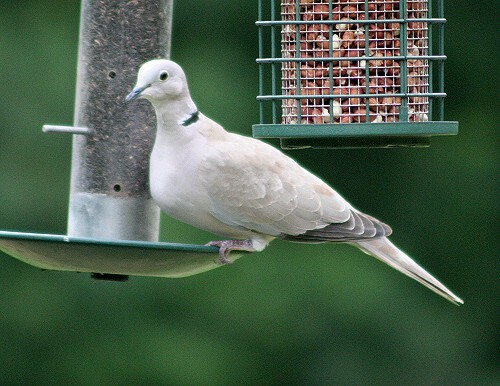 The collared dove is a relative newcomer to the UK. It first started breeding here in the 1950's and has since become widespread. 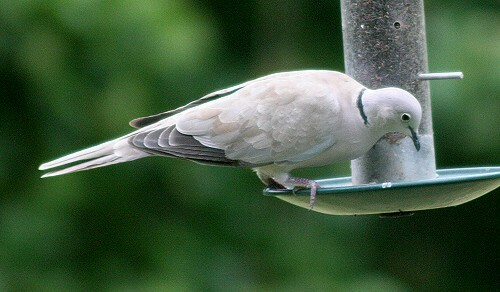 The sexes are alike with a pale grey/brown back and pale grey below. They have a distinctive black and white collar on the back of the neck. Makes a familiar and monotonous cooing call.